This article first appeared in City & Country, The Edge Malaysia Weekly, on January 7, 2019 - January 13, 2019. 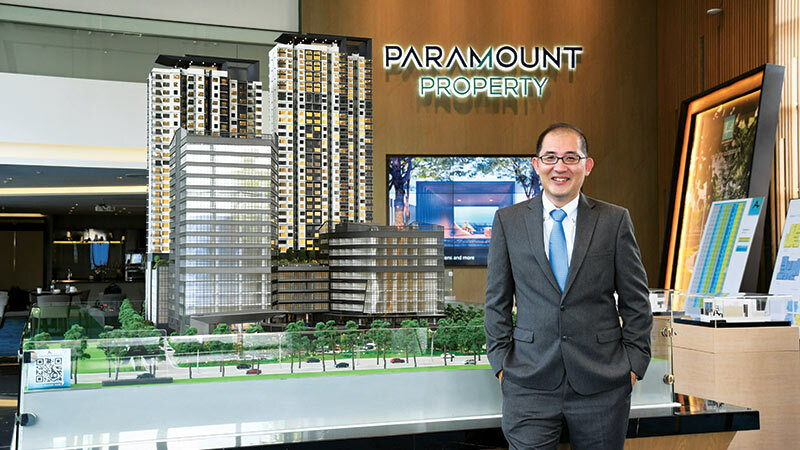 Paramount Property Development Sdn Bhd has sold 85% of the serviced apartment units at its integrated development Atwater in Petaling Jaya since they were launched in March. The company’s CEO Beh Chun Chong tells City & Country that the buyers are aged between 25 and 45 and are mostly from Petaling Jaya, Kuala Lumpur, Shah Alam and Subang Jaya. Some 70% of them are owner-occupiers while the rest are investors. “The response has been positive, with good take-up rates — for the smaller units by first-time homeowners as well as the units that come with senior-friendly features,” he adds. There are 493 units in two blocks, Towers 1 and 2. The smaller units of 670 and 703 sq ft offer 2 bedrooms and 1 bathroom. The bigger units range from 853 sq ft to 1,422 sq ft. Most of them are semidee units that offer natural ventilation in the bathrooms and yard area. About 20% of the units in Tower 2 can be turned into assisted living units with age-friendly features such as switches at a lower level, wider bathroom doors and slopes as well as a ledge for seated showering and toilet support rails in the master bathroom. The facilities include a swimming pool, fitness centre, badminton court, basketball court, exercise station, reflexology path and yoga pavilions nestled in a communal garden. Construction is at Stage 2(a) for Tower 1, and Stage 1 for Tower 2. Located next to Sin Chew Media Corp Bhd’s headquarters on Jalan Universiti, Atwater sits on 5.09 acres that was once occupied by Philips Malaysia before Paramount Corp acquired it in 2009 for the expansion of KDU College in Damansara Jaya. The tertiary education centre was eventually relocated to Utropolis Glenmarie, an integrated development anchored by the 10-acre flagship campus of KDU University College, which has 7,500 students. With a total gross development value of RM800 million, Atwater consists of residential, commercial and retail components. The commercial component, which consists of two office blocks, will sit atop a 2-storey retail podium. These two components were put up for sale at end-November. Atwater is accessible via several highways, including the Federal Highway, North South-Central Link, New Klang Valley Expressway and New Pantai Expressway. It is also near various amenities such as Columbia Asia Medical Centre, Universiti Malaya Medical Centre, Jaya One and Masjid Tun Abdul Aziz.